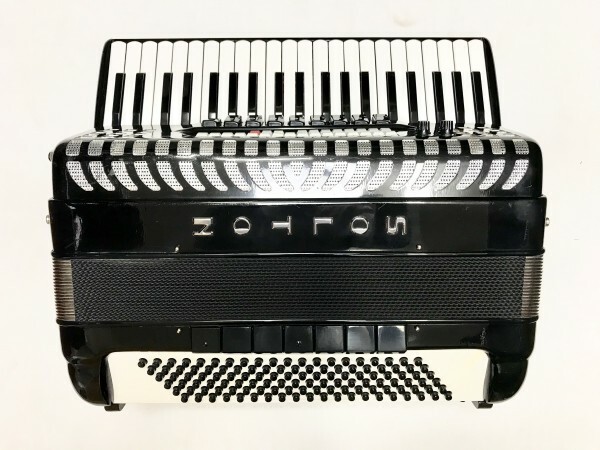 A pre-owned Soltan 120 bass accordion. This full size instrument features 120 bass buttons and 41 bass buttons and was built in Italy, most likely in the town of Castalfidardo, during the 1980’s or early 1990’s. 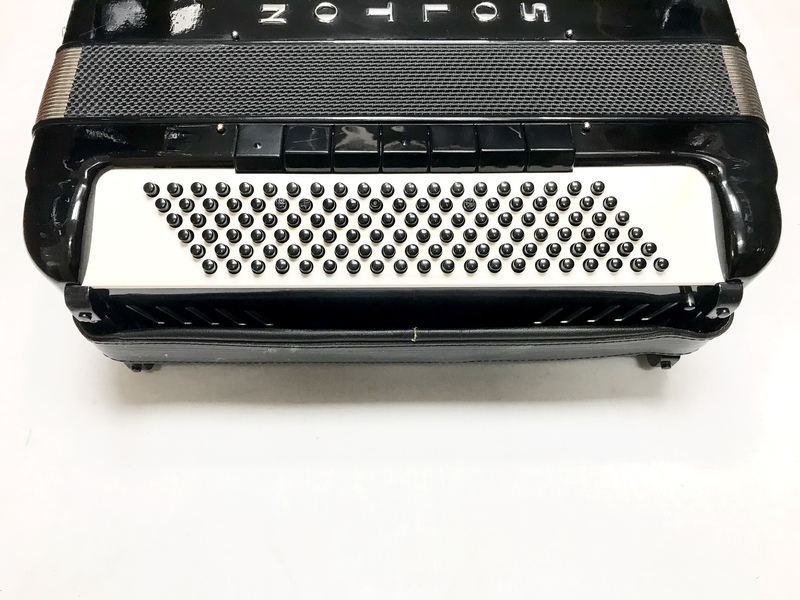 Although the acoustic side of this accordion is in full working order, the factory fitted electronics that were originally fitted to this accordion from new are no longer functioning, which is reflected in the very reasonable price. 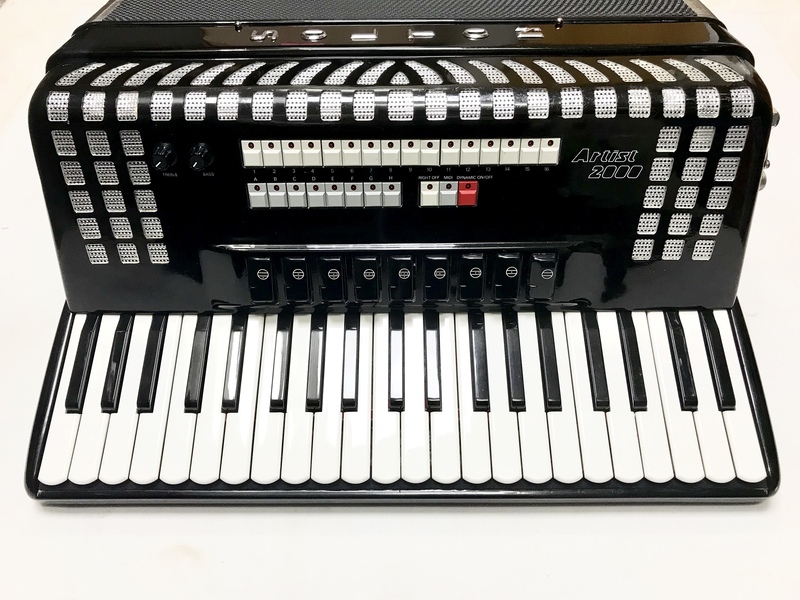 This instrument is therefore sold purely as an acoustic instrument which would be ideal for a player who requires an excellent value for money, and good quality modern Italian made accordion, and isn’t fussed about the collection of defunct buttons on the grill. Finished in high gloss black casework. A 0% interest free loan is available on this Solton 120 Bass Accordion subject to status via the Arts Council. Terms and conditions apply – please contact us for full details. This Solton 120 Bass Accordion comes complete with a soft gig bag and padded shoulder straps. 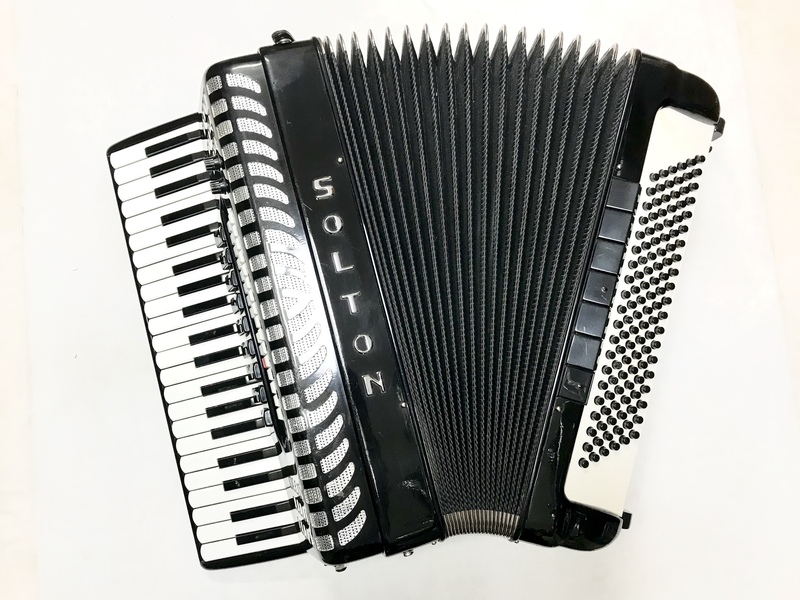 Don’t forget, free delivery of this Solton 120 Bass Accordion to most parts of mainland UK is included in the price! Weight: 11.34 Kg. - 25.1 Lbs.